Famed Baltimore-Based Investor Pledges $75 Million to JHU Philosophy Dept. Bill Miller. Photo via Hopkins Hub. The Hopkins philosophy program is getting a massive boost from a famous investor who attributes his success on Wall Street to his philosophy education at the Baltimore university. Whether or not you agree with one independent economist’s thesis that the city’s water rates are contributing to a downward spiral for the city and low-income Baltimoreans, there’s not much to argue: Water service is becoming less affordable for a sizable share of local residents. Some of Baltimore’s biggest private entities are stepping up with donations to assist more than 30,000 Texans displaced by Hurricane Harvey. The American Visionary Art Museum. Photo by Jack Hoffberger. A deep-pocketed philanthropist or art lover has an opportunity to make a lasting mark on Baltimore’s coolest art museum. Feeling like a burrito or tacos for lunch today? The animals will thank you. Low-income Baltimore residents will have a new affordable option for getting around starting this spring. The Orioles have unveiled a commemorative emblem to celebrate a quarter-century of baseball played on their home field. Next Sunday, you can get into the National Aquarium for as little or as much as you want. Johns Hopkins sophomore Frances Loeb (back, center) interns at Martha’s Place in West Baltimore. Photo courtesy JHU. Today’s college students find themselves in a tricky situation: it’s basically impossible to get a job without some sort of internship experience, but not everyone can afford to spend a summer working for free. One solution is, of course, paid internships — but too often non-profits and community organizations are already operating on shoestring budgets, and so can’t afford to pay a student for summer work. But thanks to a mysterious, anonymous donor, students at Johns Hopkins have a way to earn money, rack up experience, and benefit their community. Each year since 2011, 50 students have signed on to work at Hopkins Community Impact Internships. They lots of support as they spend the summer working for Baltimore-based non-profits aimed at making the city a safer, cleaner, greener place — oh, and they also get $5,000. 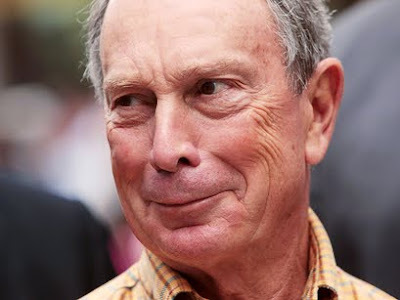 Michael Bloomberg is pretty much the ideal alumnus. He’s rich (like, multibillionaire-rich), powerful (mayor of New York City), and if he’s not handsome (sorry, Mike! ), he makes up for it by being loyal. So loyal, in fact, that he has given more than a billion dollars to Johns Hopkins — the largest-ever gift to a single educational institution. So how can Hopkins (or other schools) find their next Bloombergs? Step one: don’t ignore the C-students.